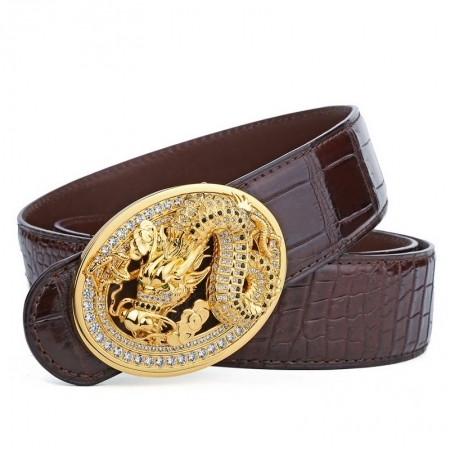 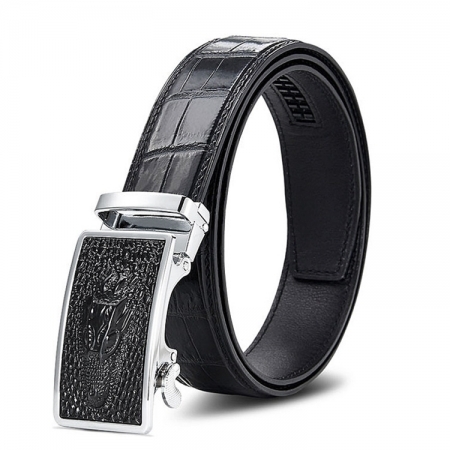 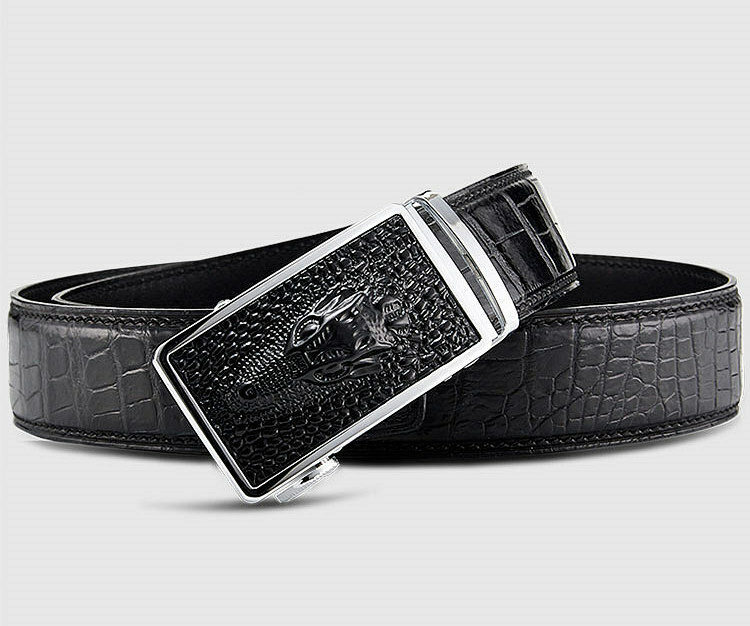 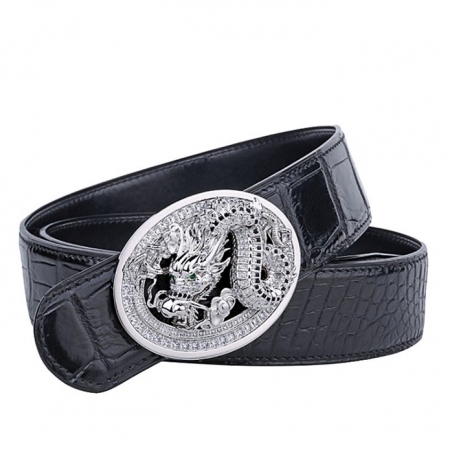 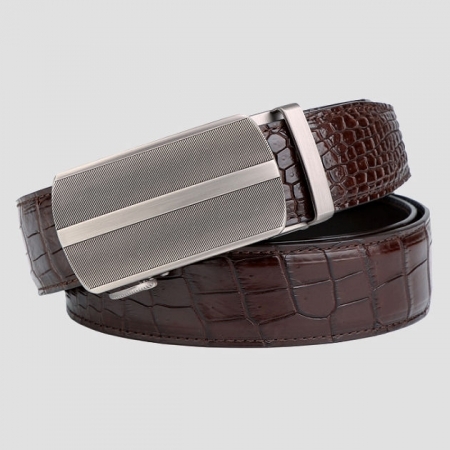 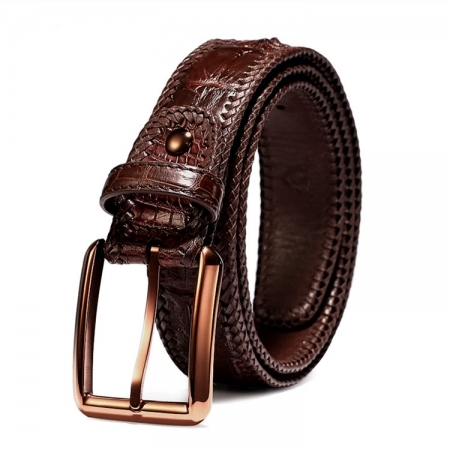 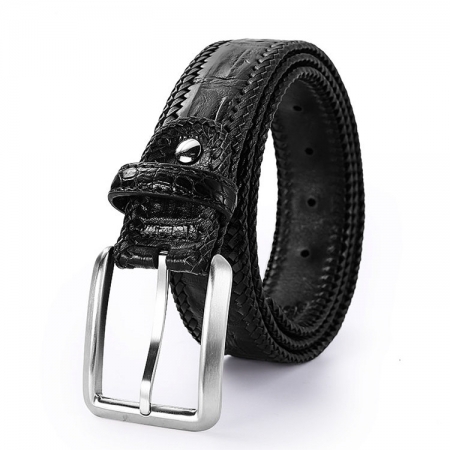 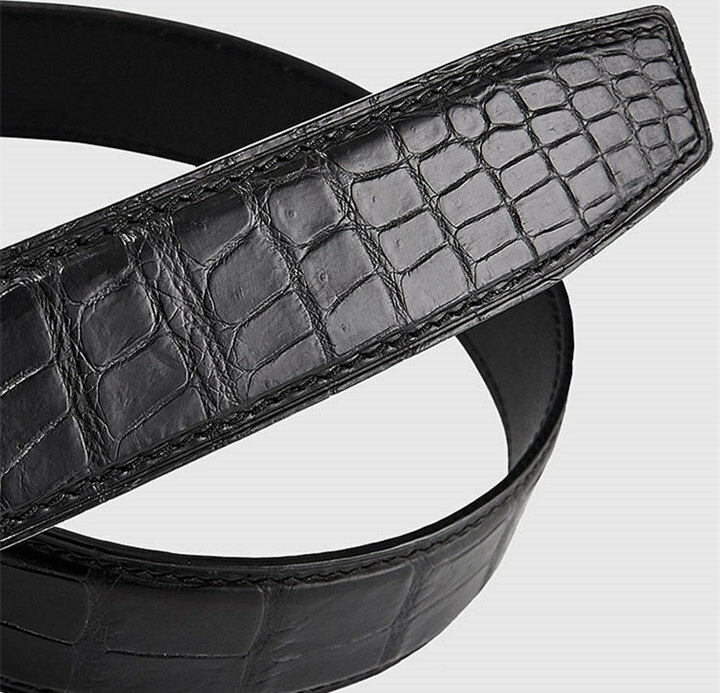 This alligator belt is clean and provides a perfect fit for everyone. 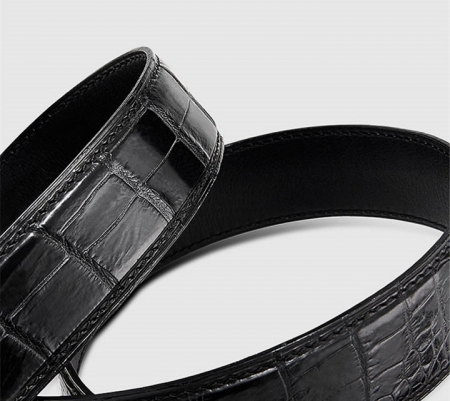 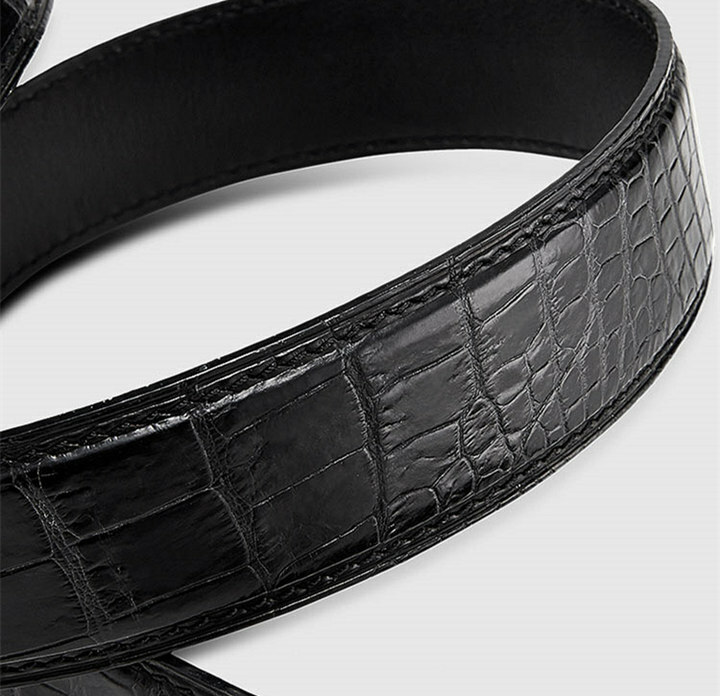 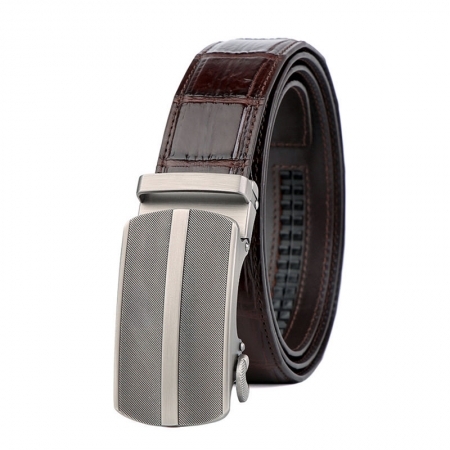 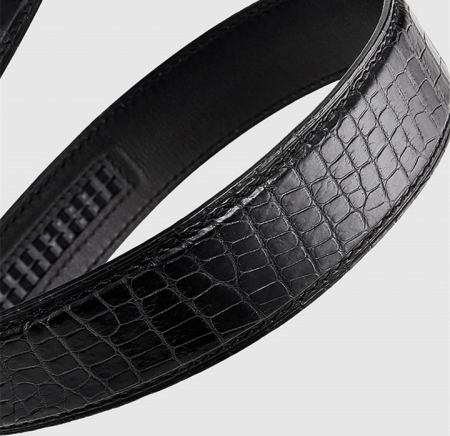 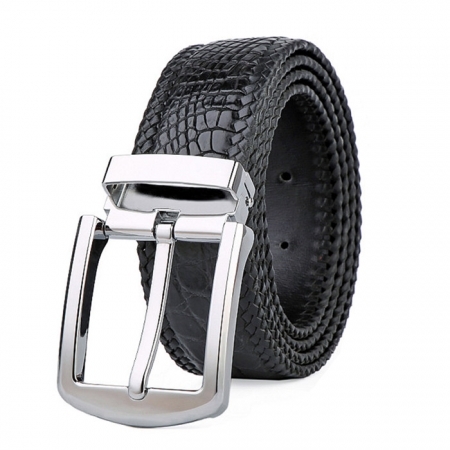 With no holes to stretch or wear over time, your genuine alligator belt always looks great. 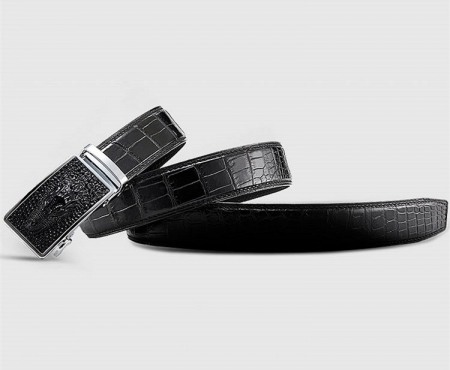 The tip of the belt inserts into the ratchet belt buckle, where a locking mechanism holds the belt in place from the back. 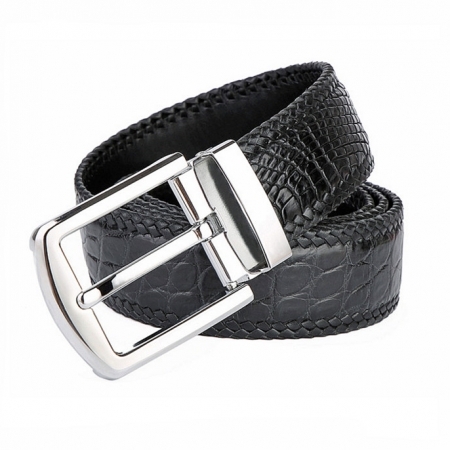 To remove the belt, just press the small metal lever on the bottom of the buckle, and the belt slides out of the buckle. You’re no longer restricted to 1 inch size adjustments, but can get a perfect custom-fit every time.